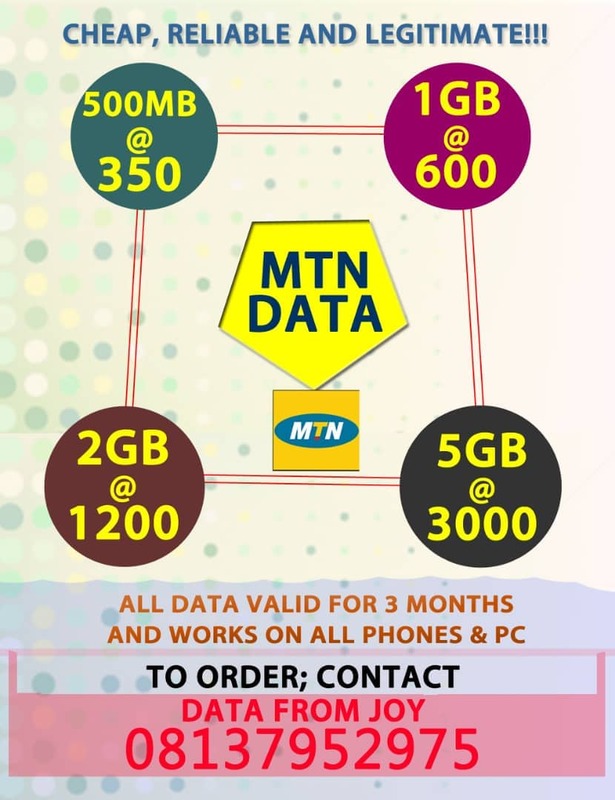 DATA from JOY is one of the trusted SME data reseller at the moment in Nigeria. It is also one of the biggest dealers with lots of experience in the business and that is why most people find it convenient to buy data from them. They are happy to release the final price reviews for their MTN DATA. ADVANTAGES OF BUYIND YOUR DATA FROM DATA FROM JOY..
100% Legit, you are covered and should try it.. I trust Dealeh. The name made me to comment, else i wont do it. Longest time Mr Dealeh.